Last week, Jan went to the Central Valley to visit her friends and she came back with a mound of fruit. Since most of it was still not ripe I put it into brown paper bags to ripen. This Sunday it all came ripe at once. What to do? A fruit cobbler came to mind. 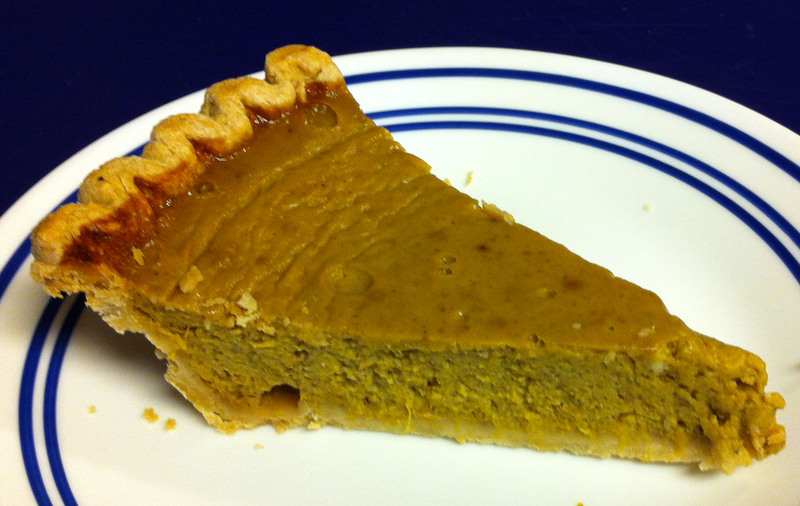 What is a Thanksgiving feast without pumpkin pie? 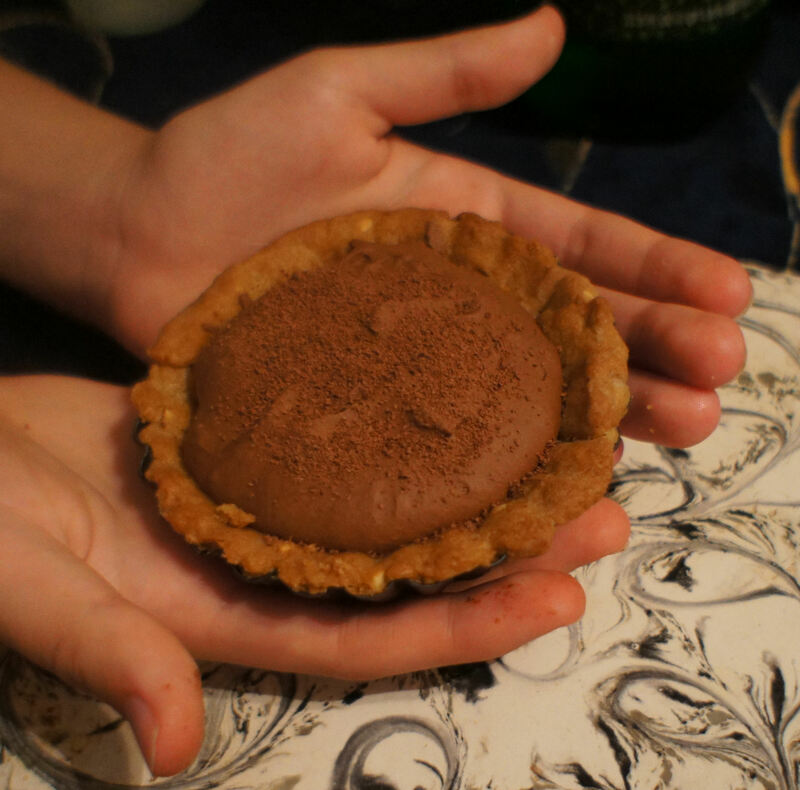 Although I recently made a similar pie for Jan’s new brother, there is always room for improvement. I found real pumpkin for this one and I decided to stir in the crystallized ginger, instead if just sprinkling it on top. We were meeting at a friend of Jan’s place for lunch to be introduced to her new half brother—long story, but the friend has know him for most of her life and Jan first found out about him two months ago. 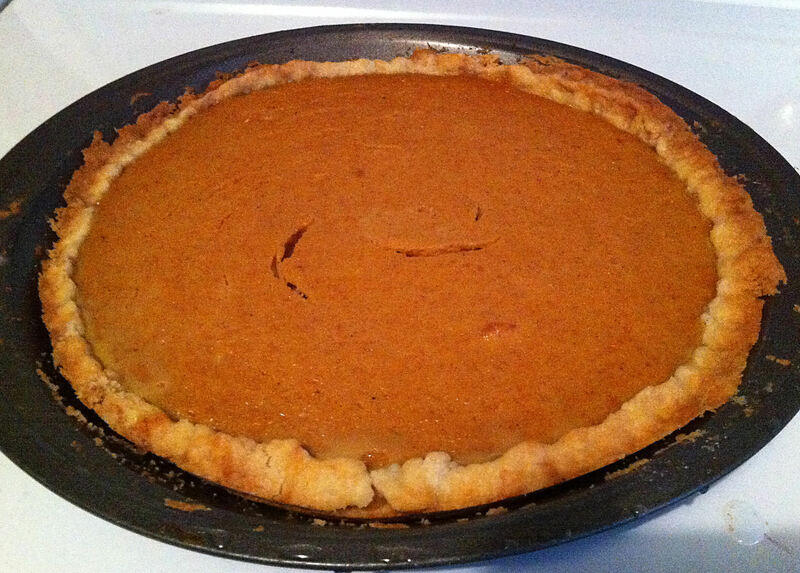 My job was to bring the bread and dessert, I decided on pumpkin pie without the crust. I had some blackberries on the counter that were getting a bit worse for time. I thought I would turn them into a quick jam. Then I decided to put the jam into biscuit dough to make hand pies. 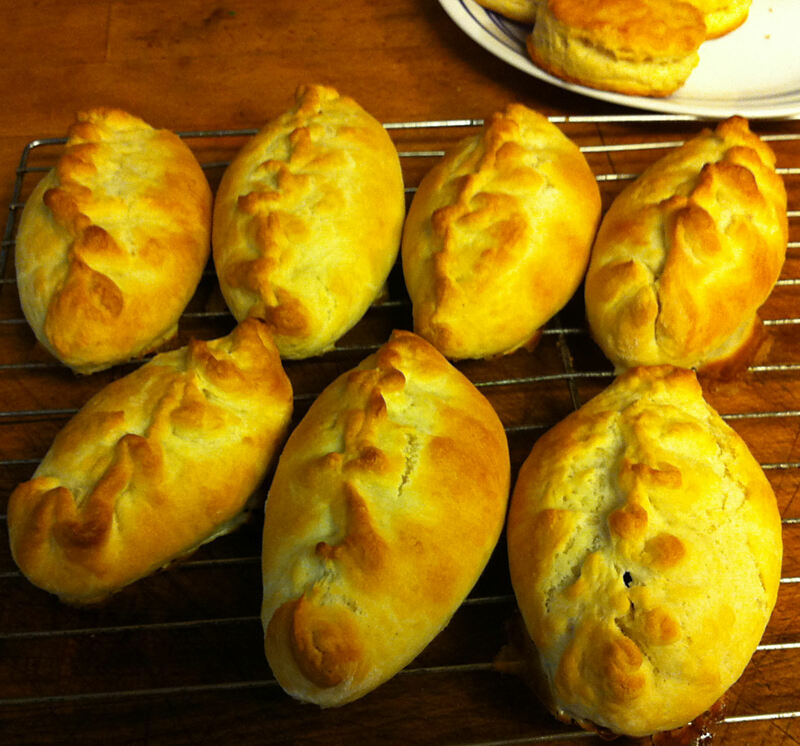 When I was making my curried chicken pasties, I had run out of filling before I ran out of dough. What was I going do do with the extra? 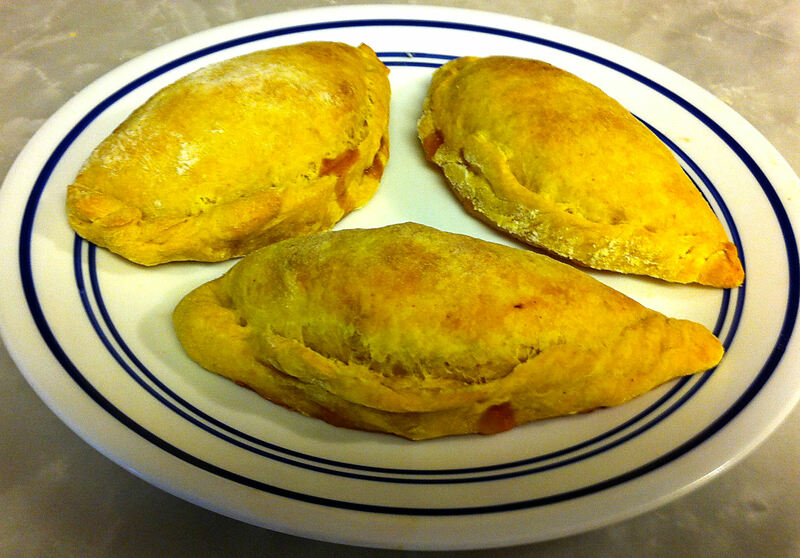 I decided to use it to make some fruit hand-pies for dessert. Jan loves pie. Miriam loves pie. Eilene loves pie. Guess what Jan is making to go with my Easter lamb for dinner. 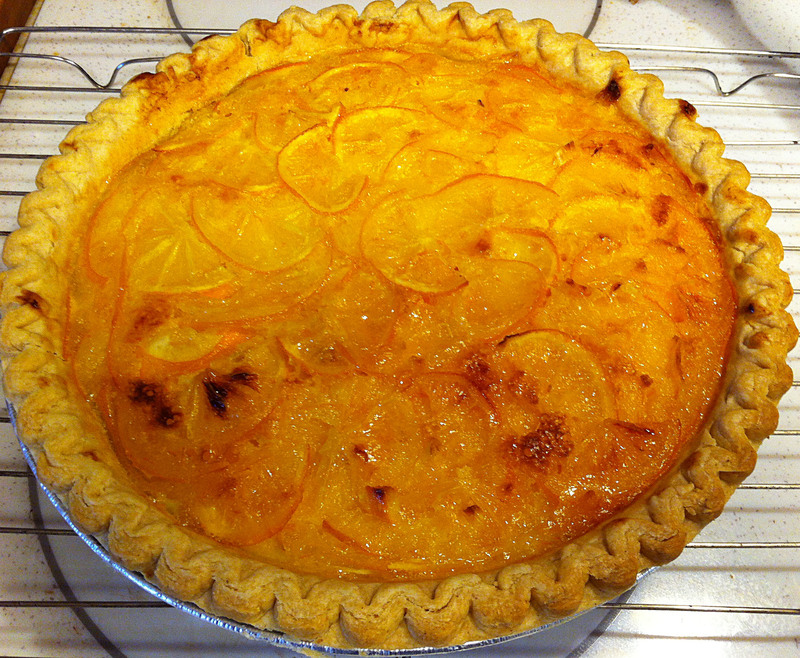 Jan loves persimmons and she loves pie. As usual, she tied to make it healthier and her own. While this dessert may not have been in keeping with the theme of my Indian feast, who cares? 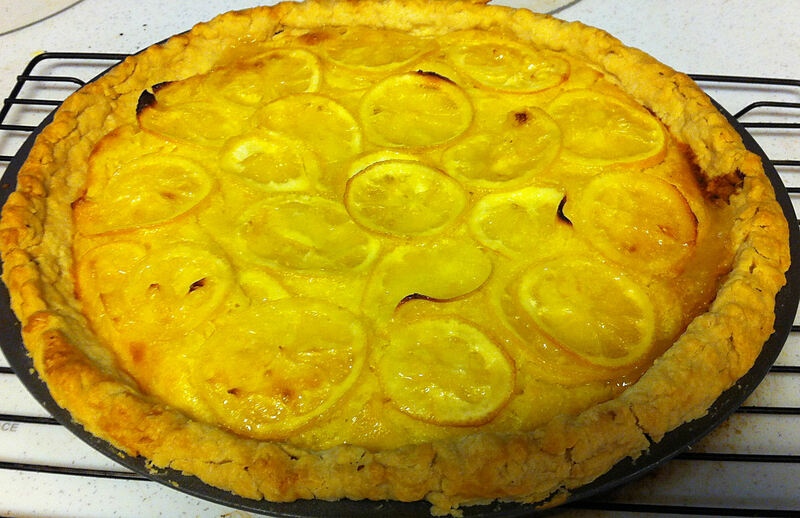 It was a great pie! Jan loves pie. Miriam loves pie. Eilene loves pie. Guess what Jan is making to go with my roasted pork for dinner.